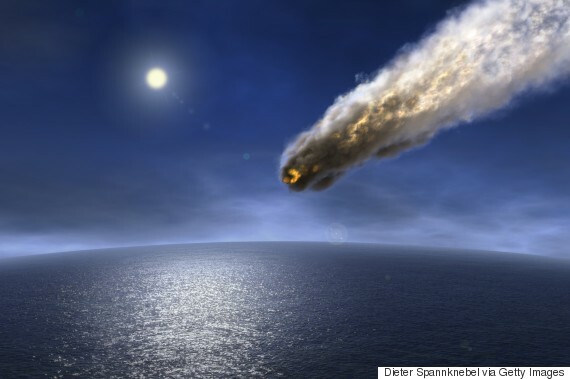 NASA revealed that a huge meteor crashed into the Atlantic Ocean couple of months ago with the force equal to an atomic bomb. But nobody had a suspicion that it had happened. Even though having the destructive power of the Hiroshima bomb (about 13,000 tons of TNT), this specific fireball was really small, blowing up over the South Atlantic Ocean on February 6. Despite concerns of population overloading, the human race is not as big a target for possibly devastating meteors as we'd like to think. With that said, NASA still holds the Near Earth Object Program, an initiative which tracks thousands of objects which could possibly bump into Earth over the next 100 years.